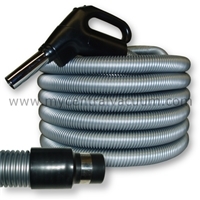 30-Foot Gas Pump Handle Electrified Hose with System On-Off AND Electric Brush On-Off Switch. Direct Connect Wall Connection. 35-Foot also Available. 30-Foot Comfort Grip Handle Electrified Hose with System On-Off AND Electric Brush On-Off Switch. Direct Connect Wall Connection. 35-Foot also Available. 30-Foot Elite Series Comfort Grip Handle Electrified Hose with System On-Off AND Electric Brush On-Off Switch. Direct Connect Wall Connection. 35-Foot also Available.